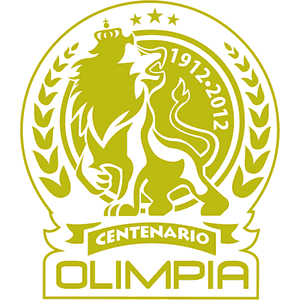 Unless you follow Central American football, the name Club Deportivo Olimpia may not ring a bell. But for anyone who has ever followed Honduran football, they would know that CD Olimpia are like the Juventus of Honduras. They are the most successful team in the Honduran league, having just won their 25th title. So while their name may be unfamiliar to you, they are the best of the best where they are from, and shouldn’t be taken lightly. Unlike Juventus, there is no controversy over how many stars to put on their logo. Each star on the red side represents 5 titles, so they’ll be adding that 5th star after this past season’s win. This year marks their 100th year, so they actually have a special logo to commemorate that with. They also boast some unusual honors, such as being the only Honduran team to beat Boca Jrs. And of course, MLS teams will know them from having played them in the CONCACAF Champions Cup. I’m sure they will be excited to add the honor of playing a European team such as Milan, too, and I wouldn’t put it past them to pull one over on us, either. As for Milan, they have been training all week in Philadelphia, where the Phildadelphia Eagles train. While they’ve had a little bit of down time to sightsee and shop and such, they have been working hard to gain fitness, sometimes having double training sessions so as to be ready for the season. On the down side, Primavera player Ganz went home with a knee injury and will thus not be available for either friendly this week. Mexes has returned to Milan due to the pending birth of his child, and is training alone at Milanello while he awaits the arrival. He has apparently been replaced by Iotti, a Primavera center back. 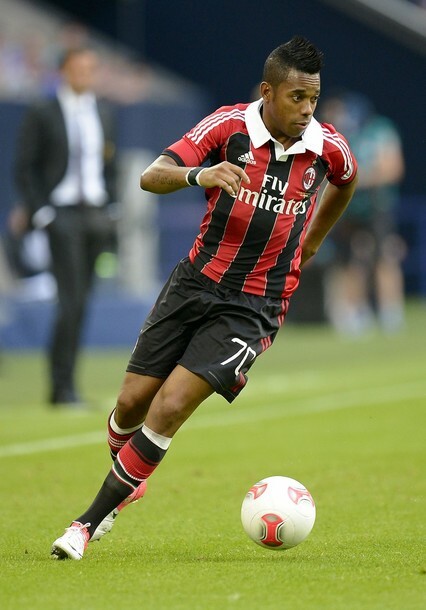 Robinho has also finally caught up with the club, so he will be able to potentially feature. When the two teams meet in Foxboro at Gilette Stadium on Saturday, it should actually be a pretty good matchup. Well at least as good of a matchup as any meaningless preseason friendly can be. CD Olimpia will field 11 players at a time, with most of them Honduran, a few Brazilians, and an Argentine to choose from. Having admittedly zero familiarity with the squad, and also because many of them have 3+ names, I will omit a projected lineup for their team this time. Milan, on the other hand have their Euro players back, except for Mexes, so Allegri can opt for a strong starting lineup, or maybe one with a few youth players. I honestly have no idea what he’ll do, but here’s a wild stab: Amelia; Abate, Acerbi, Bonera, De Sciglio; Urby, Ambrosini, Nocerino; Boateng; Cassano, Robinho. (I will probably have gotten at least 60% of them wrong, but considering the hour I am writing this, that will be exceptional.) It has been reported by Bonera and others that Allegri is whipping up an alternative 4-3-3 that the guys have been practicing in training, so maybe he throws that out there, too. 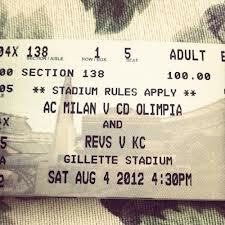 One way or the other, it should be a lovely Massachusetts afternoon, with our game being the first of a doubleheader, as the New England Revs face off against Sporting KC in their regularly scheduled MLS match following our game. So long as there are no injuries, any outcome will be a positive one. And as much as CD Olimpia may feel honored to have played vs. a club like AC Milan, it will also be an honor for Milan to face off against the Honduran Giants.